The Miraggio Thermal Spa Resort, located in Halkidiki in northern Greece, during September 4-10, will host a music festival with the lead singers of the renowned Helikon-Opera theatre of Moscow. 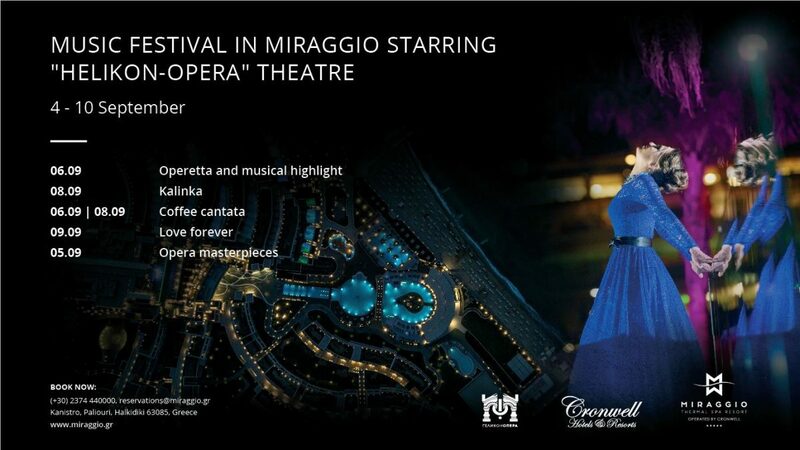 The Miraggio Music Festival, will include a number of performances with masterpieces of classical music, popular songs of the 20th century as well as opera and operetta highlights. Founded in 1990 by renowned artist Dmitry Bertman, Helikon-Opera is considered one of Moscow’s most popular theater companies and includes award-winning soloists, as well as a chorus and a symphony orchestra. Every season Helikon-Opera presents more than 200 performances in Moscow, while its repertoire consists of more than 75 unique productions. The artists of the Hellikon-Opera had also visited Halkidiki and performed at Miraggio earlier this year. 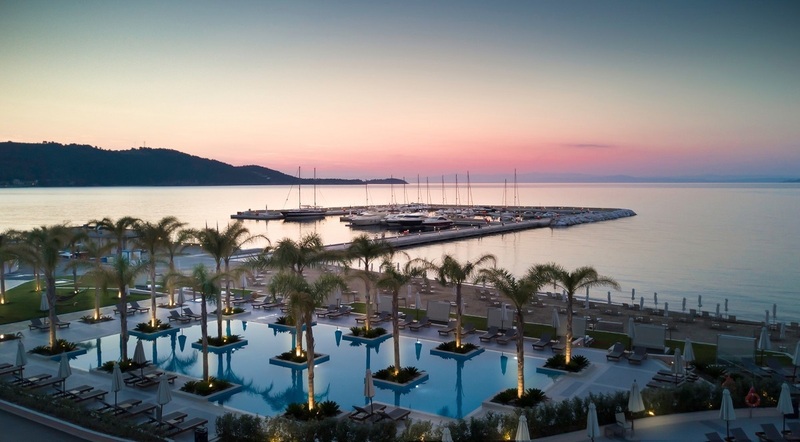 Since 2017, Miraggio has been managed by Cronwell Hotels and Resorts, one of the largest hotel chains in Northern Greece. The group is also represented in Greece by the Rahoni Cronwell Park Hotel Adults Only; the Cronwell Resort Sermillia and the Cronwell Platamon Resort. Furthermore, Cronwell has a long experience in hosting a wide range of events – from business forums to impressive shows.